Well because one of my majors in college was anthropology when I was living in Australia I made it my mission to learn more about the aboriginal tribes, the over 200 dialects they spoke, most of which are lost now, and their history. Really the way they passed down stories and history through their art and music is amazing! Thank you doll! Those are probably my favorites too! This is awesome!! Great job Miss T!! Awe! So nice and bright! Very pretty! Thank you dumpling! 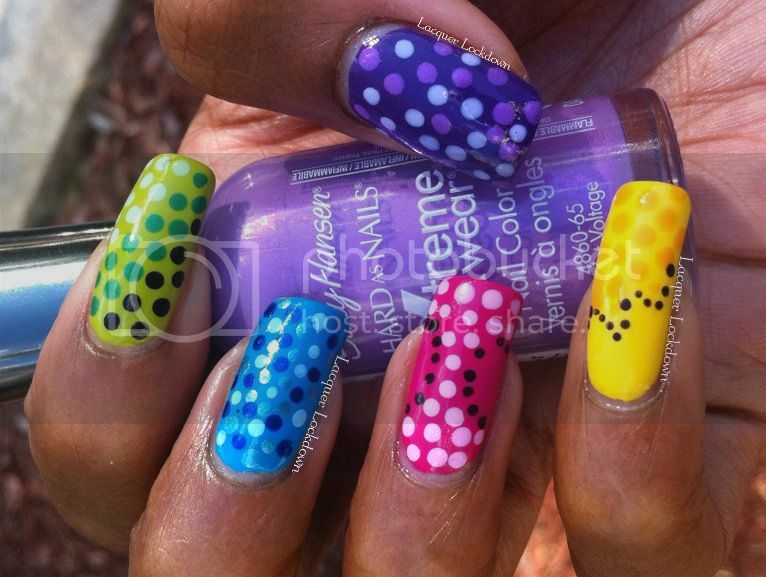 You nail art always leaves me in awe though!!! So colorful and fun! I love your pinky nail! Too cute!! 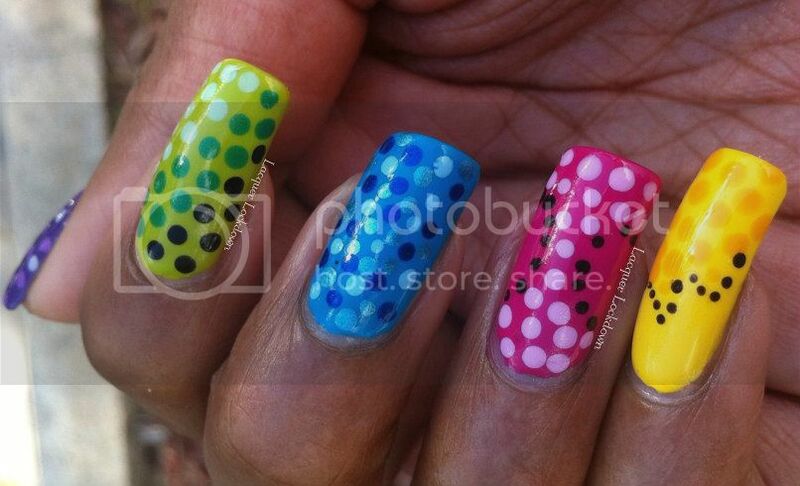 I just love dotticures! Thank you sweetie me too!